Acupuncture is as a part of Traditional Chinese Medicine and is an insertion of sterile and hair-thin needles into acupuncture points, specific points on the body. Chinese medicine recognizes 2,000 acupuncture points connected with pathways called meridians that conduct vital energy or qi (pronounced chee) throughout the body. These points reside on ‘channels’ or ‘meridians’ and as such are pathways in the both interior and exterior body, and when these points are needled, practitioner actually ‘regulate the way in which the body functions’. There are a few points on the body that aren’t advisable during pregnancy, and should be avoided. Acupuncture is actually a safe practice during pregnancy as well as in preconception period. Traditionally in pregnancy, acupuncture is used to relieve nausea, mood swings, bladder discomfort, etc. In preconception time acupuncture can address problems that affect fertility such as under-functioning (hypothyroidism) or over-functioning (hyperthyroidism). In the first trimester, acupuncture can also relieve fatigue, migraines and bleeding. As it helps maintain balance during the second trimester, acupuncture can alleviate heartburn, hemorrhoids and stress. In some cases acupuncture can also be used to treat edema, elevated blood pressure or excessive weight gain. In third trimester acupuncture can help relief back pain, sciatica pubic and joint pain and even carpal tunnel syndrome. Acupuncture can even help with a proper positioning of the baby. It is essential for woman to receive regular preventive care during postpartum. Postpartum is actually one of the most critical times for a woman to see an acupuncturist. This way theoretically serious postpartum depression can be prevented. Acupuncture is a safe practice, as long as the practitioner has gone through a three- or four-year training program and as long as the practitioner is a licensed acupuncturist. There are minimal risks when using acupuncture for fertility treatment. A risk of miscarriage may develop if wrong acupuncture points are used when a woman is pregnant. Therefore it is essential that you are treated by an acupuncturist who specializes in treating fertility disorders. 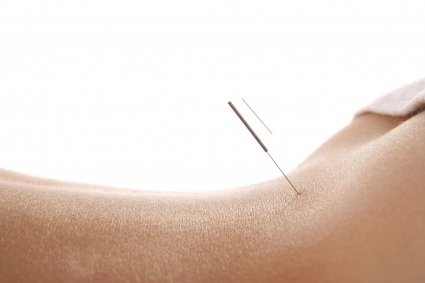 Acupuncture is not contraindicated for anyone regardless of their pathology or what medications they are taking. Its still not entirely clear how the technique works, but there is some evidence that it increases the production of endorphins, or brain chemicals that make you feel good and help reduce stress. It may also improve blood supply to the ovaries, which improves their function, and the uterus, which can make it easier to nourish a fetus and reduce the risk of miscarriage. Acupuncture has been used for centuries to treat infertility, often in combination with herbs. Research suggests that acupuncture may be helpful to couples undergoing in-vitro fertilization (IVF). German researchers discovered that acupuncture significantly increases the odds of pregnancy among a group of 160 women who were undergoing IVF treatment. 42% of women who received acupuncture got pregnant, compared to 26 percent of those who didnt receive the treatment. Scientists believe that acupuncture helped increase blood flow to the uterus and relax the muscle tissue, giving the embryos a better chance of implanting. 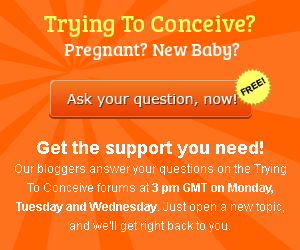 The verdict is still out on whether it can improve fertility in general. Studies show promising results, but more research is needed before we can say for sure. Some studies indicate that acupuncture can help to improve an egg quality in woman, that it can help if a woman has problems with blocked Fallopian tubes or whether she has trouble ovulating. Since acupuncture increases blood flow to the endometrium, it helps to facilitate a thick, rich lining. Some studies also suggest that acupuncture can also help men if trying to conceive: this Chinese technique partly increases number of healthy swimmers, as well as improve their quality. Some studies claim that acupuncture cannot increase a mans sperm count over the threshold needed for conception, but others suggest that acupuncture can significantly improve the quality and health of sperm and that sperm is associated with fewer structural defects and an increase in the number of healthy swimmers. Acupuncture has been often applied both among men and women when dealing with stress, and since stress has proved to interfere with trying to conceive, it makes a perfect sense that reducing tension with the help of acupuncture could increase your chances of conceiving a baby.